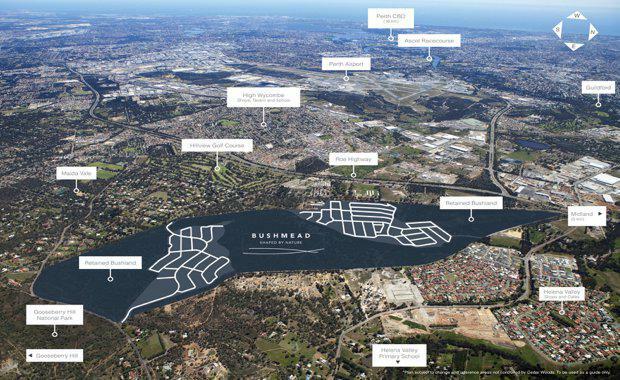 A successful bout of sales has encouraged Residential developer Cedar Woods to bring forward the launch of their $240 million development’s next stage. A former rifle range in Perth's east, Cedar Woods acquired the 273-hectare plot from the Department of Defence six years ago. The development, called Bushmead, released 30 lots for sale in its first stage and presently 24 of those lots have been snatched up. Construction is currently underway and cedar Woods is expecting the volume of sales to continue. "If you look at the sales results that have been achieved on the estate to date, it's a different story from what is happening in the rest of the market," Cedar Woods Chief of Operations Nathan Blackburne told The Australian Financial Review. "That's because of the proximity to the city, the locational attributes and the general lack of competition in the immediate area. Mr Blackburne said to The Australian Financial Review that Bushmead is in the eastern suburbs near the hills and not in a typical growth corridor, which makes its a unique location where there are few, if any, other offerings. According to The Australian Financial Review, the project will produce as many as 800 lots in the next 8 to 10 years with lot sizes varying from 375 square metres to 510 square metres, selling from $285,000 and upwards. Bushmead is in close proximity to local shops, schools and amenities of the Helena Valley and the Midland town centre, while also being close to bushland and a national park. Bushmead buyers are typically second and third owner-occupier home purchasers. The past 12 months have seen a slowdown in the Perth land market, reportedly causing some developers to offer discounts and incentives. However, prices have stabilised now and Mr Blackburne expects them to improve by next year. "Despite affordability being quite good relative to Melbourne and Sydney, buyers are still cautious," Mr Blackburne said to The Australian Financial Review. Two thirds of the land, or 185 hectares, will be rehabilitated as a conservation reserve gifted back to the state's Department of Parks and Wildlife.